Hi, the muscles around my right elbow joint become sore after playing. Of course I'll stop and stretch and massage the area but this an ongoing side effect playing. Has anyone else experienced this? I play an entry level anglo - a Stagi. The bellows are stiff and sometimes it feels I'm fighting them and it probably doesn't have the best action either. I've realised the fast jerky pull/push is what's contributing to this soreness, plus holding elbow at a certain angle - roughly 90 degrees, so I'm rethinking the fingerings to include more runs of notes on the draw or on the pull and reduce the jerkiness a little (every minimal change must help, right?). Trying to play louder - getting more air - exacerbates this. I usually play softly because I live in an apartment but on the weekend I was playing with other musicians and so had to be louder and noticed how much the soreness bothered me. I can't see how I can alter the angle my arm needs to be to play. This soreness happens regularly from using computer - the posture, typing etc. So alas I've become used to it but it is more noticeably sore after playing. Clearly I need to change what I'm doing! Any other suggestions apart from upgrading to a better concertina which is a future goal but not possible for now. Arm strengthening exercises - resistance bands, hand weights? Shorter practice sessions? Thanks. It’s likely “tennis elbow,” an inflammation of the bony part of the elbow where the tendons of the muscles that extend the forearm attach. 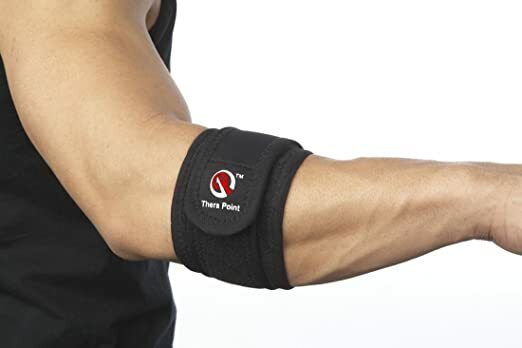 Go to any pharmacy and buy a tennis elbow strap, which decreases tension at the attachment, and see if that helps. I imagine you to be 'new to playing the concertina' , if that is the case then the pains are probably quite nomal. I find whenever I take up an new instrument there is a period, sometimes of quite long duration, where sets of muscles need to get used to the new demands on them. Yes a better concertina will help: there were no such things as cheap 'beginner' concertinas when I started, it was Vintage or nothing so perhaps I don't understand the level of pain you may encounter. Yes, shorter practice sessions will help. 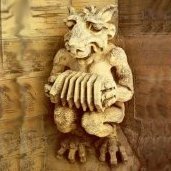 I have recently taken up the Chromatic Button Accordeon and I try to limit the duration of my practice sessions to 15minutes several times a day at the start.... it helped. If it keeps bothering you, talk to your doctor; she may give you a referral to a physiotherapist.